Chances are, if you’re reading this, you’re working on growing your business and you may have already started building your team. As you grow, or change team members, having a process or procedures manual becomes a very valuable tool for your team members to reference regarding how you want things done in your business. If you have your processes written down, it saves you time when bringing on a new team member (less training for them). If you have a process that isn’t used frequently, you can always go back to the written instructions and use that instead of trying to remember how you did it 6 months ago. I had a client who had a revolving door of web builders to support her. Each time she brought in a new one, they would do things their way and they never documented it. She would have a falling out with them and be on the hunt for a new one. During the time between the old web person and the new web person, she would ask me to help support her in that area and each time it took me awhile to figure out what they had done. There was nothing wrong with what they had done, there’s always more than one way to do something, but I didn’t know what they had done and always had to figure it out. Having those things written down would have saved me time and saved her money. It also lets you be consistent and having consistency in your business is great! You have a logo, you like your website and emails to look a certain way – all so your business has a consistent look. Consistency behind the scenes makes your business run smoothly. It also gives your clients an experience they can count on. You probably have some standard email templates you use and some follow up sequences that go out when someone opts-in to your email list. What about when someone asks for a refund? Are there certain steps that you like to move the customer through for that, or at least an email that will go out to them? How about when onboarding a client? 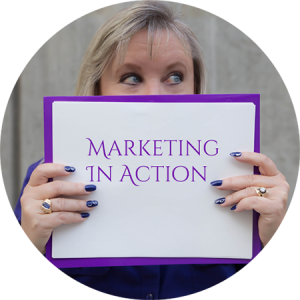 Are there certain steps that need to happen in the background to Wow your new client? If these steps are written down, whether you do it or a team member, it will be consistent from client to client. Yes, there’s some work to be done with this, but it is so worth it and you can always ask your team members to document the things they handle. Even if you start with an outline that can be filled in over time, you’re ahead of many other entrepreneurs. If writing this down doesn’t sound like fun, make a video, with narration, of walking through the actual process. Jing is an easy tool to use for that. And think of this as a work in progress. As you start adopting new processes and procedures, or your current ones change, the documentation will need to be updated, but those updates can be done as soon as the new procedure is implemented. Store it in a place where everyone who needs it has access, like Dropbox. Do you document your processes? Share with us below.